GPS / Compass antennas are prone to magnetic interference. Therefore it's a good idea to use an extended mount like this one to locate your GPS / Compass away from your motors, ESC's and other sources of electromagnetic interference. This GPS antenna mount differs from most other mounts in that it doesn't fold, instead it simply plugs into a metal base. Cleverly the stem of the mount features a keyway that aligns with the base, so your GPS module will always point in the right direction. When the time comes to transport your multirotor, the stem can be detached without tools, keeping your GPS module safe and away from damage. 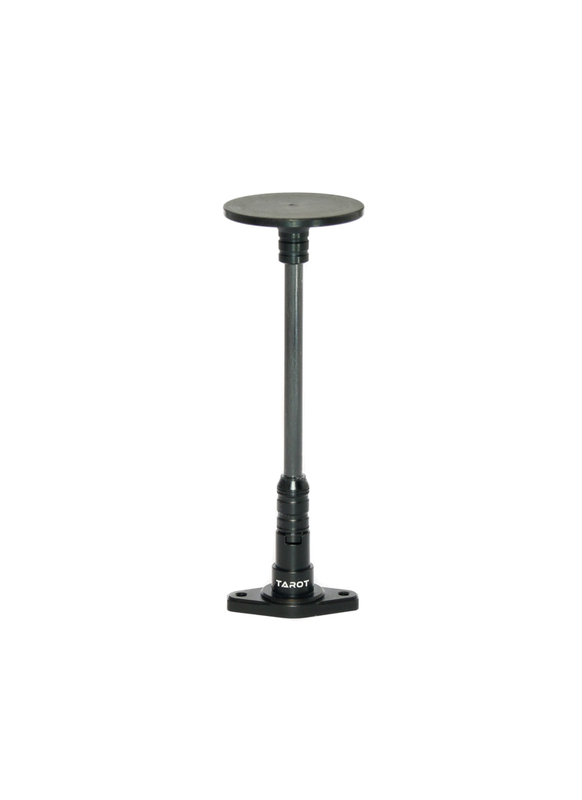 In comparison to the folding mounts, we've found this plug-in type mount to be sturdier and less prone to vibration. The mount is made by Tarot and designed for their X-Series multirotors, but it could be used for any custom build.